Man caught stealing bicycle at Walmart in Sebastian, Florida. SEBASTIAN – A man learned the hard way that he couldn’t just leave Walmart on a brand new bicycle, reports show. On Wednesday at approximately 10:55 a.m., Sebastian Walmart called police about a man who rode a brand new bicycle out of the store and onto the sidewalk near U.S. Highway 1. Security footage revealed that he also stole a backpack, which he was wearing as he exited on the bike. 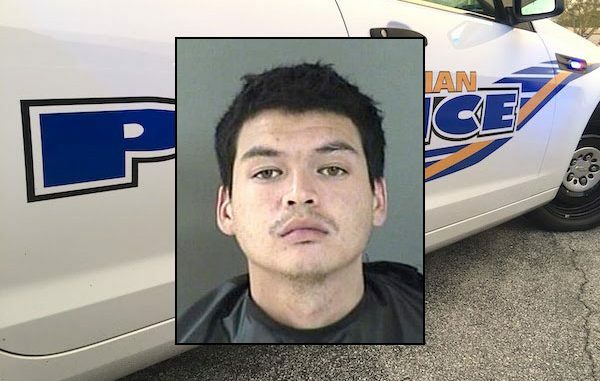 Sebastian Police found the suspect still riding the bike with the backpack traveling north on U.S. Highway 1 near Bay Street Pharmacy. Julio Cesar Torres, 26, told officers he never stole the bike or backpack at Walmart. Video surveillance showed Torres entering the store without a bicycle or backpack. He then selected a bike and a backpack for a total value of $203.72. Torres then rode out of the store bypassing all points of sale. Torres was arrested for Petit Theft and transported to the Indian River County Jail. On Thursday morning, Torres was charged with Criminal Contempt after being disorderly in the courtroom. The Judge sentenced him to 30 days for the new charge. Torres will be back in court on March 8, 2019, for the Theft charge.